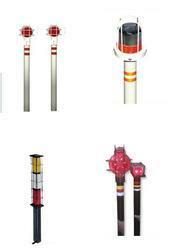 Shiva Industries offer vast range of Road Safety Items. Red & White 3 Inch "CAUTION ---- DANGER --- MEN AT WORK"
Made of Sturdy Plastic(ABS), these bumps offer high resistance to severe impacts. 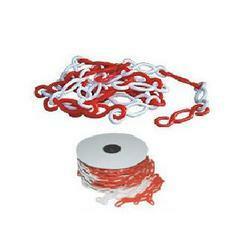 The interlocking grip design allows it to behave like one single Bump. 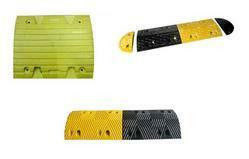 The precoloured materials (black and yellow) and UV stabilisers result in permanent colours which does not fade easily. 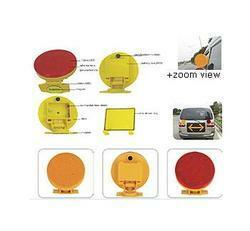 Acrylic reflectors fixed on front and back help in identifying the location of the speed breaker from a large distance. High wear-resistant reflective films, by the CAD system combines optical principle, accurate positioning with each is an independent, unified parallel reflex also reflective beads, resolved mosaic reflective film reflective particles from the perspective of the uneven mosaic of light caused by reflection and the reflection intensity non-parallel loss disadvantages. 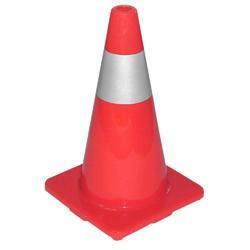 Red and White Diagonal Strips belt and is convenient designed to fit over most standard traffic cones. 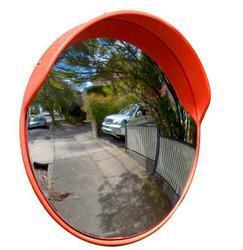 With its 4 way connectivity, it easy to use and proves to be a quick and effective way to restrict access. 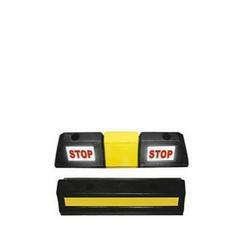 Road Delineators offered can be made available in height of 1100 mm as well as in superior grade PP material finish. 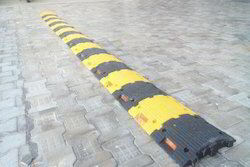 Made of High Quality Rubber, H2 Speed Bumps are high resistance to severe impacts and harsh weather conditions. 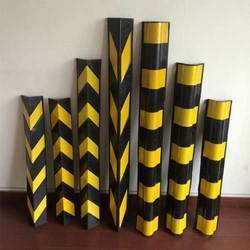 The pre-colored material (Black/Yellow) with beeds on either side, they are clearly visible to the drivers on road during night hours. 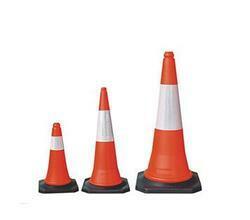 These bumps are ideal for hospitals, hotels, private colony, malls, parking areas, and high prone accident areas. 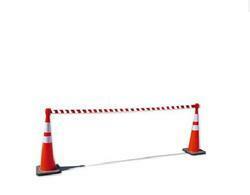 » Application: Mount to walls, barricades, rubber trafficcones,signs and poles. Use during read construction and signal safety hazards on build sites, in warehouse, airports, etc..
» 3M reflective tape are optional. » Solar cell: 15 W,Type-Mono crystalline, Voltage-18V/900mA. » Battery: Type-Plumbic acid, Voltage-12v/7.2Ah. 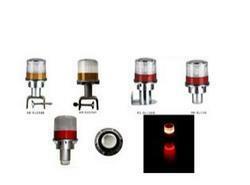 » LED: Size-?5 mm- 172 LED, or as required. » Color: Red, yellow, white etc. » Luminous intensity, 8000---9000 mcd. 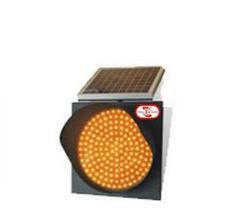 » Operating time: Sustain power supply continuously for over 4 days when in the wet or rainy days after full-charging. » Temperature range:-20 °C - 70 °C. » Usage condition: With street lamp or not. » Guarantee years: One year. » Life in use: Over 3 years used in an efficient way. 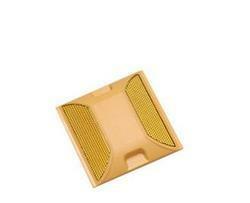 » Material: PC plastic anti-UV material. » Package: Gross weight: 14.5KGM. » Carton size: 30*40* 48CM. Wheel Chocks are used for wedging and blocking tires to restrict movement of the wheel while vehicle is being loaded. 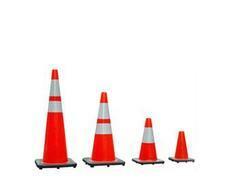 They are well suited for trailer trucks and other heavy equipment. 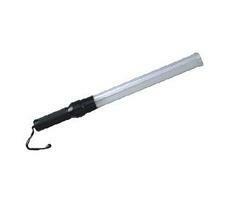 Usually used as necessary precautionary measures to avoid potential personal injuries. 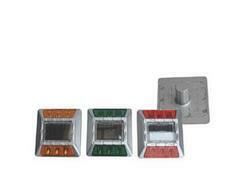 SHIVA INDUSTRIES are offering a quality assured assortment of Rubber Corner Guard. 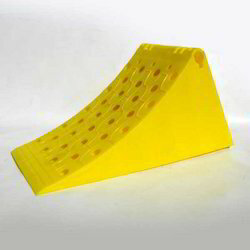 The Rubber Corner Guard we offer is known for its sturdiness and quality. Besides, one can get these products at reasonable rates. Fixing is with 6mm anchor bolts. Packaging Details: Good quality packing as per customer demand. 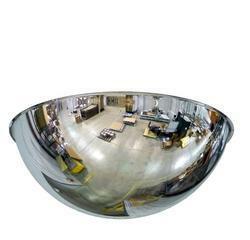 SHIVA INDUSTRIES makes all kind of Reflective Safety Jacket. We can customized jacket with all the color, velcro, zip, logo's, etc. > Reflective jackets are useful for all people who are working on roads, factories, etc. 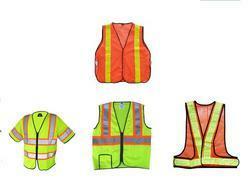 > There are various models available for Safety Jackets and we can make any jacket as per the requirements. 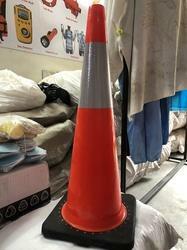 Looking for PVC Tierod Cone ?